Two websites in one, for savvy kids fashion shoppers of all kinds! Kindred Spirit. Whether you’re a style-minded shopping parent or a fashion-forward retail buyer, KidStyleSource.com is a fabulous online find – one after my own heart. The entire site features the latest news in apparel, accessories and furnishings for infants through tweens, organized for the shopping public as well as for professionals in the children’s product industry. The brainchild of editorial director Tracy Mitchell, who has covered the children’s market in various editorial roles at Fairchild Publication’s Children’s Business magazine for almost 20 years, KidStyleSource.com features breaking collections, undiscovered designers, emerging labels and familiar brands –for both parents and professionals- presented in a grown-up, insider-type way. Comprehensive Coverage. The site also features merchandise by trends and by categories in easy-to-navigate sections. The style showcase ranges in price “from mass to class,” which makes visiting a great shopping experience. Fashion director Lynda M. Johnson is a fashion journalist and stylist with 28 years of experience working for both trade and consumer publications and leads the fashion resourcing efforts for the KidStyleSource, among other things. 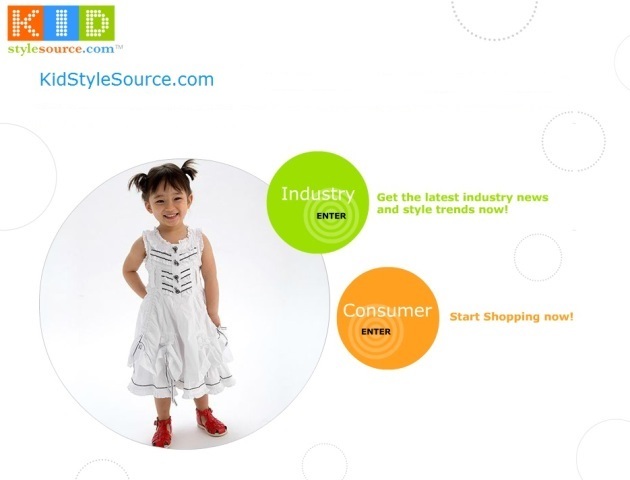 A division of Style Source media LLC, the six-year-old KidStyleSource.com is a unique destination for both parents and industry executives to find great fashion stories.